Before I present the news, I'd just like to say that I will not be including any of the "spoilers" and rumours that have been circulating lately on the net about Blade Runner 2049. I, myself, have not seen all of the movie trailers. Use your discretion. 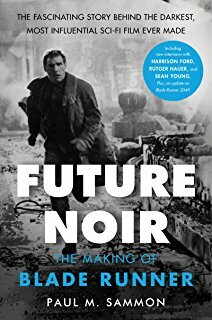 I am thrilled and honoured to say that the Off-world News was mentioned in Paul M. Sammon's latest edition of "Future Noir: The Making of Blade Runner". It is available in stores and online now. 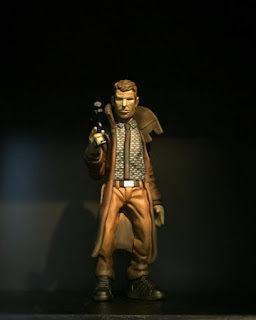 For more information about the book, go to the Future Noir: The Making of Blade Runner Facebook page. When he signed on to direct “Blade Runner 2049,” which hits theaters Oct. 6, Denis Villeneuve was determined to carry on the groundbreaking aesthetic of director Ridley Scott’s original 1982 neo-noir sci-fi thriller. At the same time, he didn’t want to create a mere replica — or replicant, as the case may be. “The movie we did is deeply inspired by the first movie, but we tried not to become a pastiche or parody,” says the French Canadian director behind such films as “Arrival” and “Sicario.” “We used elements from the first movie with humility and tried to find a strength in them. But this movie has its own personality.” More HERE. Director of Blade Runner 2049 admits he has ‘no idea how people will react’ to the sequel. "It was my goal to pay homage, be faithful to the atmosphere, the rhythm, the poetry of the first movie," Denis Villeneuve said. More HERE. 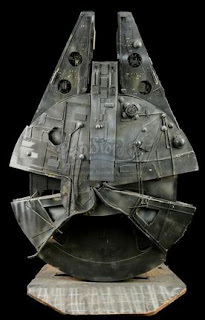 Blade Runner - Lot # 65 - Live Auction 2017 - Millennium Falcon Building Light-Up Model Miniature. More HERE. Jared Leto's Method Acting: How the Oscar Winner Went Blind for Entire Shoot of Blade Runner Sequel. More HERE. 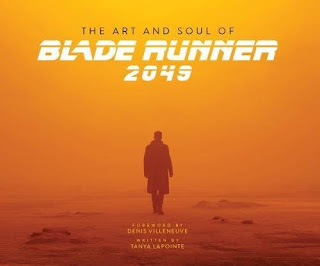 Academy Award Nominee and Golden Globe winner Jóhann Jóhannsson is no longer attached to the film Blade Runner 2049. He was announced as the film's sole composer in August 2016, and in July this year, it was reported that Hans Zimmer would join him due to Jóhann's busy schedule. More HERE. ‘Blade Runner 2049’: Harrison Ford, Ryan Gosling and the Creators Discuss the Sci-Fi Sequel and Rehash Old Arguments. 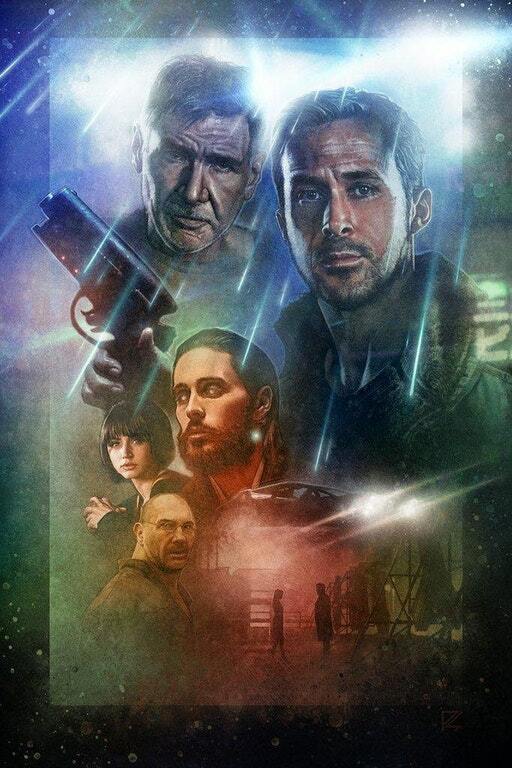 In separate phone interviews, Mr. Ford, Mr. Scott, Mr. Gosling and Mr. Villeneuve discussed the legacy of the original “Blade Runner,” the reasons they’re reviving it now and the enduring argument over whether or not Deckard is a replicant. More HERE. How many days until Blade Runner 2049? Find out HERE! Now for some articles, art, music, podcasts, videos, and some miscellaneous! Blade Remoaner -- For comedian MITCH BENN, Theresa May’s attempts to extend her political life put him in mind of his favourite film, Blade Runner. 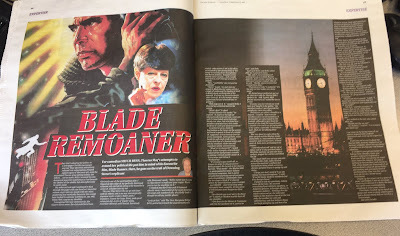 Here, he goes on the trail of Downing Street’s replicant. More HERE.